Pulau Aur is part of the Marine Park of Johor, located Northeast of Singapore. Easily accessible from Singapore and the main Malaysian cities, the islands are popular with non-divers and snorkellers alike, and can be very busy over weekends and holidays. This Marine Park consists of two main clusters of islands. 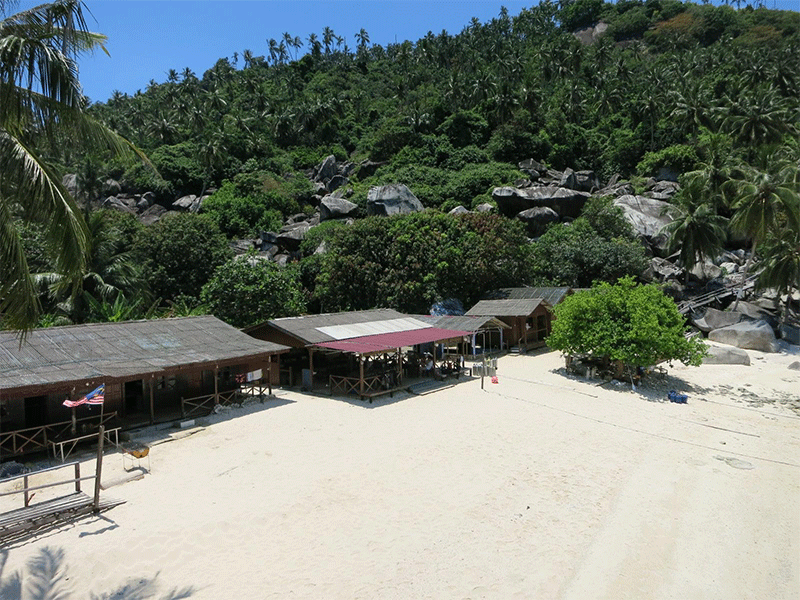 The first consists of Pulau Tioman, Pulau Rawa, Pulau Babi Hujung, Pulau Babi Tengah, Pulau Babi Besar, Pulau Tinggi, Pulau Mentinggi and Pulau Sibu. 65km east of Mersing, Pulau Aur, and the islands of Pulau Dayang, Pulau Lang, and Pulau Pinang, make up the second group of islands in the Johor Marine Park. Most of the rocky islands are well forested and have isolated coconut plantations. The rustic, tranquil atmosphere is a welcome departure from the crowds and bustle of other overtouristed islands. Furthermore, with deep, clear water, healthy coral life and regular encounters with large pelagic species, Pulau Aur definitely offers the best diving in the marine park. The underwater topography consists mainly of several underwater Pinnacles which rise from 30m deep, boasting rich hard and soft coral growth and awe-inspiring submerged rock formations. Whale Sharks have been seen and delightful encounters with large Manta Rays are common. Forget the crowds and the bustle! Atlantis Bay is situated on its own private beach, a long stretch of powder-white sand perfect for sunbathing and lazing in the sun. Take a dip in our house reef, rich with coral life, including resident baby Black Tip Reef Sharks. Schools of bumphead parrotfish often venture close to shore at evening time, making it perfect for night dives. The calm waters and clear visibility make the Atlantis Bay House Reef perfect for snorkellers and divers alike. Comfortable Accommodation, Dive Boats Custom-Built For Your Comfort. Oxygen tanks and medical first-aid kits permanently located both on board all dive boats and at the resort .